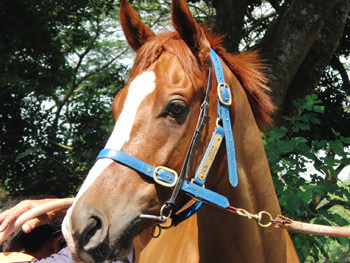 Our complex is well equipped with the stable’s own weighing scale, an ice machine and an ice bucket spa. The main stable comprises of 2 storeys. The downstairs is fully air-conditioned, and is great for horses that need to acclimatise to the hot weather. Upstairs the boxes are made to a more open plan style, the horses can see each other and have slight contact. This is useful for horses who fret and need company. Methodical feeding and regular grooming for the horses are part of the stable care. In addition Julie Burridge ensures that the horses maintain optimal health by adopting up to date non-invasive therapies. 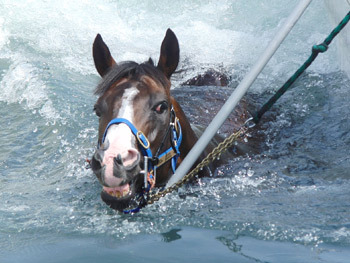 It is the norm that all racehorses work in an intense training environment. They are exposed to daily work levels that keep increasing as part of pre-race training. The following therapies are applied regularly to ensure that the racehorses remain in peak condition. The E-TRAKKA® technology was developed to integrate information about a horse’s capability with the invaluable experience of a skilled horseman. This helps facilitate better assessment of a horse’s fitness and to plan a more effective care regime. At Steven Burridge Racing Stables, E-TRAKKA® is primarily used during the horses’ training to measure the training speed and the heart rate. The breakthrough technology processes the heart-rate and velocity readings, as well as the position of the horse on the track. The data then provides Steven with a simple informative ‘snap shot in time’ about the horses’ fitness, performance and potential that was previously unavailable. Harnessing the potent combination of cutting-edge technology and in-depth understanding of horses, the team at Steven Burridge Racing Stables are able to make more informed training decisions and train their horses with more precision. This results in healthy horses performing at their optimum level on race day. E-TRAKKA® is made up of a saddle blanket to house a heavy duty GPS tracking system and heart rate monitor. 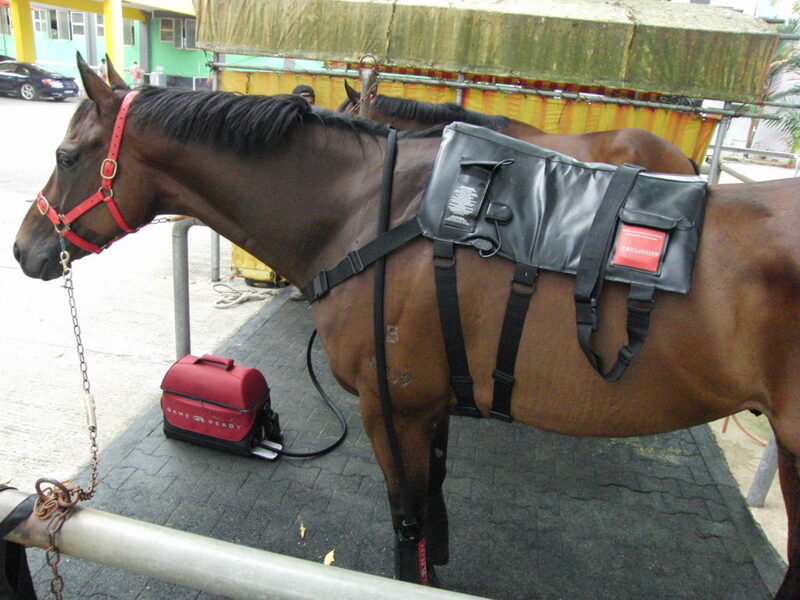 There are two electrodes linked from the blanket to monitor the horse’s heart rate. The saddle blanket is worn under the saddle, keeping it non-intrusive to the horse or rider. 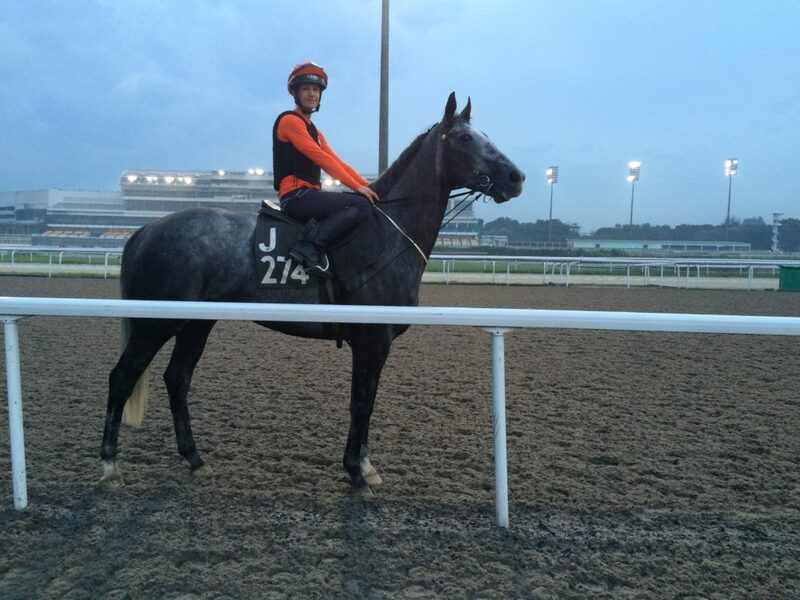 There is also a GPS antenna for the the jockey’s cap and is linked to the saddle blanket. The GPS processing system is able to monitor heart rate at various locations in the track. It also calculates the velocity of the horse. These data are then interpreted to produce a fitness score for each horse. The Game Ready System has proven to be an excellent instrument in expediting recovery from injuries and ailments while preventing long-term damage. It is based on the traditional recovery principle-RICE (Rest, Ice, Compression and Elevation) used by top athletes all over the world. The technology behind this accelerated recovery system was developed using proprietary NASA spacesuit technology by scientists and doctors. The reliable tool with proven track record for human recovery has since been adapted to equine needs by equestrian professionals and veterinarians. A common result to any horse injury is inflammation which also leads to pain. Inflammation affects blood vessels and tissue cells. When injury is not treated early enough, it can have serious repercussions on the horse’s health. When administered effectively, Game Ready can significantly reduce damage to the tissue cells, decrease pain and muscle spasm through the RICE principles. 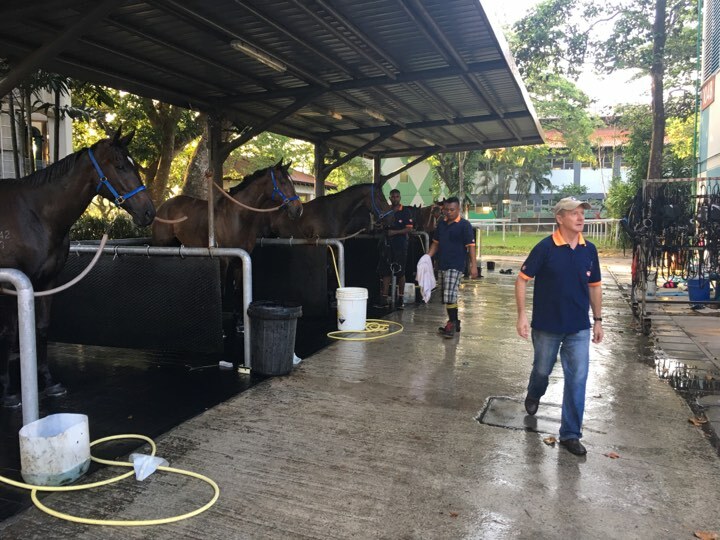 This handy gadget is used regularly at Steven Burridge Racing Stables for all horses as part of preventive measures as well as for rehabilitation after racing or injuries. Horses are given the best treatment that technology has to offer to maintain their good health at all times. The treadmill traditionally has been used as a research tool or in clinical diagnostic testing. However with the development of the high speed treadmill it has become more popular as a training tool. Duration of the work interval. This is a major advantage when doing high quality galloping work. The treadmill serves an ideal tool for interval training, with both distance and speed being accurately controlled. Research shows that the inclined treadmill forces the hind limbs to carry more weight and to provide greater propulsion. This is an ideal approach to assist in the muscular development of the hind limbs during training. The level of stress applied, speed and duration of gallops with each work out can be monitored by the use of heart rate monitors or by measurements of blood lactate concentrations. The treadmill also provides an opportunity to nurse race track injuries such as tendons or joint problems, or control the work regime for an overly strong track worker. The treadmill belt provides a smooth, consistent surface, eliminating injuries from uneven footing. Improvements in a horse’s fitness can be detected by its exercise and recovery heart rates. Heart rate monitors play an important part of Steven’s treadmill training. Steven gallops 2 to 4 horses daily on the treadmill and looks at all the recovery heart rates to ensure that the horse is improving his condition and not under or over working during specific workouts. Monitoring the horses’ heart rate can lead to significant improvements in performance, endurance and health. A horse’s heart rate is a reliable indicator of its level of fitness. The usefulness of continuously seeing a horse’s exercise heart rate comes from the knowledge there is a linear relationship between heart rate and how hard the horse is working. By ‘heart rate auditing’ each of the horse’s training sessions, any change from normality is a possible warning sign that all may be not well. Working too hard for too long invites injury and fatigue. Working at too low an intensity provides little training benefit. Together with Equissage, Julie currently uses the more specifically targeted BioScan system for its therapeutic and remedial capacity. The hand-held BioScan light generates photo-dynamic light, tuned to specific frequencies. Cellular tissues absorb this infrared energy, causing a biological response within that cellular tissue, releasing healing enzymes into the cellular structure. Apart from delivering similar benefits to the Equissage system in terms of increased blood circulation and muscle stimulation, BioScan aids in the repair process, encouraging damaged cells to be replaced more promptly. Tissue granulation, imperative as part of the healing process in wounds, ulcers or general inflammation, is also stimulated and the overall immune response is energized. Both these easy-to-use portable therapy machines are in constant use in the Burridge stables with up to six to eight horses receiving treatment each afternoon. Considered one the of safest forms of physiotherapy available, Equissage is a form of electrical “cycloid” massage delivered through a back pad, a hand-held pack or a leg and tendon boot. The stimulation produced through any of these methods improves local-site blood circulation and venous drainage. It also encourages lymphatic drainage, relaxes muscles and releases tension while increasing joint mobility and improving respiratory conditions. Equissage can be used on both injured and healthy horses alike. When any of the horses’ nerve or acupressure points are blocked, it leads to poor performance in the shape of shortened strides, head and neck problems, and even possible hip or shoulder lameness. The Equissage back pack is then used to provide muscle and skeletal relief, while simultaneously increase the activity of the circulatory and lymphatic systems. This can be used to warm up a horse and used again post-race to reduce any detrimental build-up of lactic acid or stiffening of muscles and joints. Used together with the back pad (used for stimulating lymphatic drainage), the hand pack becomes effective on specific muscles and joints. The hoof, especially, benefits as bruising can be minimized and circulation increases to promote healthy hoof growth. Clinically proven to promote relaxation, improve back flexibility and even increase stride length. Each massage session strokes, vibrates and oscillates, stimulating the muscles – a sensation enjoyed by the horses. At Steven Burridge Racing this is applied on horses who have had a hard race or whom are about to race. It promotes blood flow and horses benefit tremendously from the soothing effect. Using a horse walker is one method of warming up horses prior to work. Prevent injuries to tendons and ligaments by encouraging blood flow to those areas before strenuous exercise. Walking before athletic exercise will improve the oxygen delivery and waste product removal to and from the muscles. 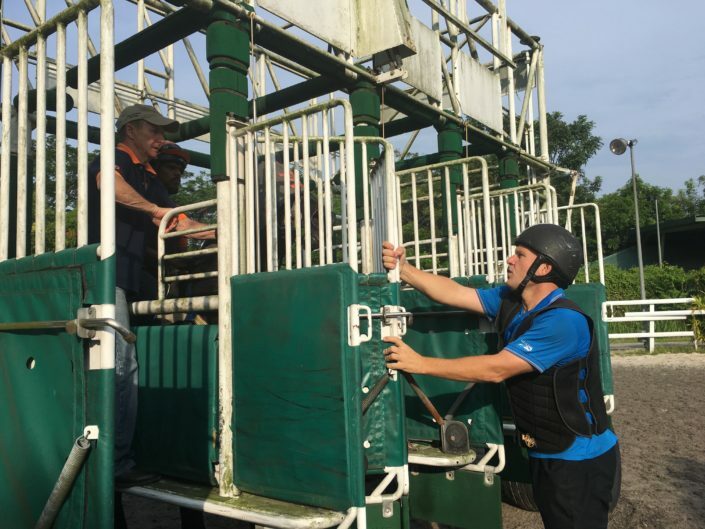 All our horses are walked on the walker before they are saddled or worked. Although speed is the ultimate goal, it can be a double-edged sword. It can also make them prone to muscle soreness, bruises and knocks among others.